The holidays are my favorite time of year. My family is extremely close, but we live all over the world. During the holiday season we manage to get together. Thanksgiving with my family in Boston, Hanukah with my parents in New York, Rob’s birthday with my sister in Florida, and finally, Christmas in magical Scotland. Now that I’m unapologetically living my healthy, low waste life, the holidays are the perfect opportunity to lovingly share my lifestyle with my family. I vote with my dollar and give thoughtful, eco-friendly gifts. These gifts serve as gentle nudges toward a greener, healthier life! (And conveniently lend themselves to setting a low waste New Year’s resolution!). I’ve rounded up my favorite items that are perfect gifts for your loved ones (or yourself!). There’s nothing healthier or more sustainable than growing your own food. But, not everyone has the space for a garden (or the desire to actually garden). That’s what makes Seedsheet amazing- they make it “ridiculously easy” to grow your own. The Seedsheet salad and herbs kits are my favorite. They come with a container, soil, and the seeds for the best salad greens (including spinach, red Russian kale, arugula,), other vegetables, and herbs (basil, dill, parsley, chives, sorrel, and cilantro). All you have to do is assemble the kit and water the seeds. Mother nature does the rest. Having a small garden in your home or apartment brings life to your space and more vegetables into your eating routine. Give your friends and family the gift that keeps on giving (well, growing). Kakaw Designs makes beautiful, handmade items, the tea towel being my favorite. (Natalie of @sustainablychic, one of my favorite blogs, introduced me to them!). Every day more than 100,000 acres of trees are destroyed and the average American uses more than 500 pounds of paper each year, which equates to about $400! The good news? You can reduce your paper consumption by carrying around a Kakaw Designs tea towel (aka dish cloth) to replace single use napkins and/or tissues (see my blog post on the 5 items I always have on me). The towels are made from leftover handmade textiles from Kakaw Designs’ bag and scarf production. These "scraps" are hand-embroidered with naturally-dyed cotton thread, supporting women artisans in Guatemala. They are perfect for someone who loves beautiful items made with love and is inclined to take one (stylish) step toward a greener lifestyle. Use code ABBY25 for 25% off orders over $50 (code valid until December 31, 2018). Who doesn’t love delicious food? This recipe for DIY Seedy Cereal is a crowd pleaser, I promise. It looks beautiful, can be a great conversation starter, and you can use it to loveingly introduce your friends and family to a nutrient dense cereal. I gave this to a family friend recently and, after eating it for a week, she asked if she could regularly purchase it from me! Since I’m not in the cereal business yet ( ;) ), you can make this at home from ingredients found in most bulk sections. Enjoy! I'm my best self when I’m in my uniform- a crisp white button down, high waisted jeans, and a scarf. So, it’s no surprise that I live in my Tradlands 101 The Elms White shirt. Tradlands makes high-quality essentials for women inspired by classic menswear, which is exactly my style. They are as dedicated to sustainability as I am and they obsess over every detail to make the best fitting, eco-friendly clothing. Their clothes make for the perfect, long lasting, useful gift! Aside from the white button down, I also love the new Modern Fisher Sweater in Shell, the Moon Bandana in Ecru (off white), and the 101 The Clare. Take your pick and use the code abbysfoodcourt15 for 15% off your first purchase (one time use per customer). I do at least 3 Kait Hurley move & meditate classes at home per week and it’s the only way I’ve been able to stick to a consistent meditation routine. Kait’s classes range from restorative yoga, to high intensity sequences, to guided runs, and each one ends with a meditation. For those looking to change up their workout routine and build a meditation practice, give the gift of Kait’s amazing program! With Kait's new app, it feels like she is with you every step of the way to help you get stronger mentally and physically. I have a thing for Scottish people (hi Rob!) and brands. I fell in love with Brora in Edinburgh and now their clothes and accessories make up a good portion of my wardrobe. The cashmere is ethically sourced and then made into gorgeous garments in Scottish mills. Brora is committed to sustainable practices and I recently had the privilege of meeting Victoria Stapleton, the Founder & Creative Director. She is as lovely as I hoped and I had such fun having her style me! It's hard to choose just one Brora item to gift, but these Cashmere Fair Isle Wrist Warmers are perfect - they are soft, warm, and leave your fingers free to type or scroll. They also just scream "The Holidays" to me. (I'm wearing mine right now as I type this!). The NutraMilk enables me to combine my two greatest passions- nutrition and sustainability. Non-dairy milks and nut butters are staples in my diet (and my clients'!). But, many store bought versions have preservatives, additives, and other ingredients that I avoid, and they come in plastic packaging. I was making my own nut milk using a cheese cloth, but it was messy and took forever. The NutraMilk was a complete game changer. I save so much time, money, and packaging using it to make homemade nut milks and nut butters. I can’t rave about it enough. Use the code AbbysFoodCourt50 for $50 off your purchase! Earlywood makes sustainable and well-designed wooden kitchen utensils. They value sustainability and efficiency, and even donate to have a tree planted in the Atlantic Rain Forest in Brazil for every web order. It’s time to (responsibly) get rid of plastic cutting boards (note: as you cut food on a plastic cutting board, tiny pieces of plastic enter your food…) and replace them with Earlywood's gorgeous wooden cutting board. Another product perfect for gifting is the Flat Sauté set. These might just be my favorite kitchen utensils. 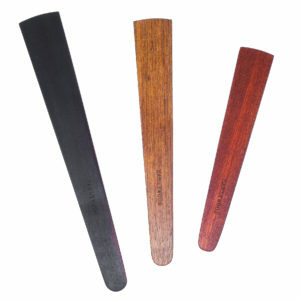 I use them to sauté vegetables, toss and serve salads, and scrape veggies from the cutting board into bowls. I’m totally obsessed and you will be too! Use code ABBYSFOODCOURT10 for 10% off the Flat Sauté Set, El Quatro (4 flat sautés) and the Wooden Cutting Boards (offer valid from 11/19/18 to 11/26/18)! Books are fantastic gifts and I’ve rounded up three of my favorites. The Spirit Almanac: A Modern Guide to Ancient Self Care by Emma Loewe and Lindsay Kellner is a must read. They provide easy and manageable ways to nourish yourself and connect to the rhythm of the earth. Need I say how much I love this? 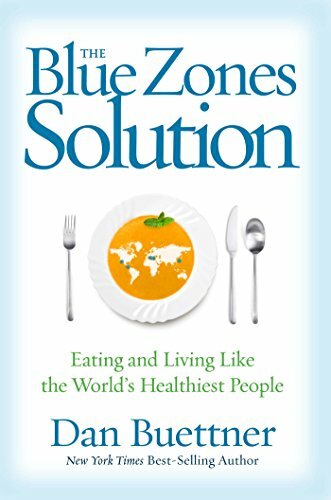 The Blue Zones Solutions: Eating and Living Like the Worlds Healthiest People by Dan Buettner is another must read. Buettner discusses the practices of the longest lived people and, most importantly, provides actionable ways to incorporate elements of their lifestyles to your own. The recipes are fantastic too! 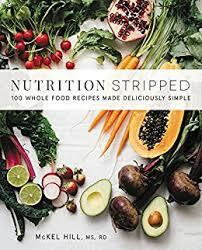 Finally, The Nutrition Stripped Cookbook by McKel Hill is an amazing cookbook and resource. McKel, a fellow dietitian, provides the best, most delicious and nutrient dense recipes along with comprehensive nutrition information. Any one of these books, or, even better, all three, are perfect for wellness and non-wellness loving folk. This year Rob and I are giving our Scottish family an experience gift! I’ve booked us afternoon tea at The Garden Restaurant at the Principal Hotel in Edinburgh. While physical gifts (especially eco-friendly, consciously made ones) are great, experiences are even more special. They last far longer than the experience itself – happy memories and pictures continue to bring joy to the recipients whenever they recall the event. Dining at restaurants that specialize in local and plant based food, and/or sustainable and zero waste practices is my favorite way to experience food. When restaurants care deeply about the quality of the food, you can taste the difference. Choose a fun, new restaurant and treat your friends/family to a gorgeous meal! Here are some of my favorite restaurants in New York: Ancolie, Amass, The Oberon Group (Ruccola, Fitscarraldo, Metta, Nowadays, Franklin + Kent, June; all of these restaurants are carbon neutral or negative), abcV, Avant Garden, Blue Hill, and Jajaja Plantas Mexicana. Here are some zero waste and/or plant based restaurants in the U.K.: Tiny Leaf, Cub, Silo, Farmacy Kitchen, Hendersons Vegan Restaurant, Beetroot Sauvage, and Pumpkin Brown. I hope this guide helps you choose gifts for your loved ones. Go forth and spread the (green) love by voting with your dollar! Happy holidays to you all!